Discussion in 'Java Edition News' started by AIRArt, Nov 21, 2013. Hello everyone, I am pleased to announce a new winter update coming to the site soon, until then, enjoy the snow! I don't know the lyrics all right?! When will Assassin Kit come out? Am i the only one here who wont get a white christmas? Where I live, all we have is snow. It's annoying!!!! We have plenty to spare here! What's your mailing address? This year February, the only snow of the year where I live, I had the flu. It snowed so hard. My sister went out to play in the snow while I had to just stay inside. We got a centimeter in October over near the big city but never where I was. I'm confused... I just joined and I dont know if we can play minecraft on here. Is it just... snow? please respond. 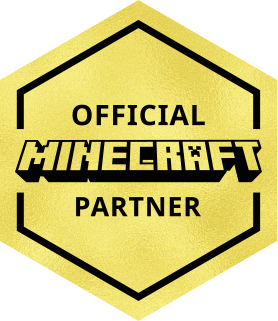 You need to buy Minecraft from https://minecraft.net/‎, then you can play (For free) on the CubeCraft server from in the game. The IP is play.cubecraftgames.net, put that in the server IP slot in the "Add Server" area in the Multiplayer menu of the game. This is just the website for the server, and the snow is just for fun as they work on a holiday update. Hope this helped. I was wondering if you could give out ranks to people who have supported (been on) Cube Craft Forms or just the server? Um... @DrDjkhan If everyone who joined the forums got ranks, everyone would have ranks! Lets do a guessing game... What do you guys think the new update for christmas is going to have? Leave your guess below and write with @SevereWarning to show that you are with this guess idea. Hey sever warning I checked out your channel, cool videos!